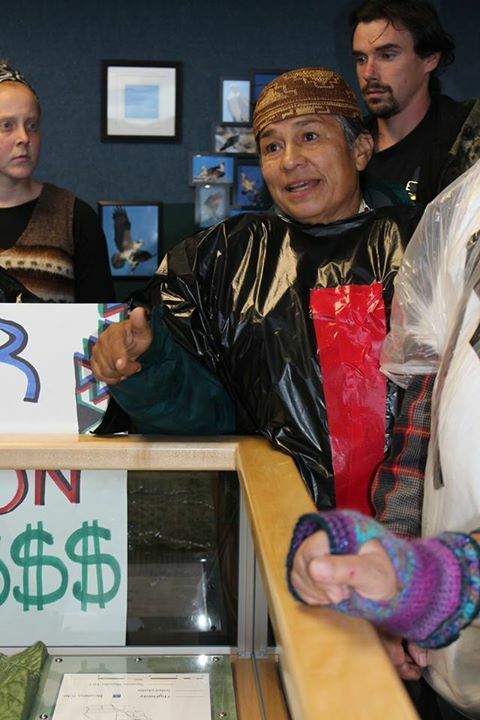 The Winnemem Wintu Tribe and supporters tell the Bureau of Reclamation, "No Dam Raise, No Tunnels!" Photo by Dan Bacher. The Winnemem Wintu Tribe and supporters tell the Bureau of Reclamation, “No Dam Raise, No Tunnels!” Photo by Dan Bacher. The construction of the twin tunnels would hasten the extinction of Central Valley salmon and steelhead, Delta smelt, longfin smelt, green sturgeon and other species, as well as imperil the salmon and steelhead populations of the Trinity and Klamath rivers. The “habitat restoration” proposed under the plan would also take huge areas of fertile Delta farmland out of production in order to continue irrigating selenium-filled, drainage-impaired land on the west side of the San Joaquin Valley. 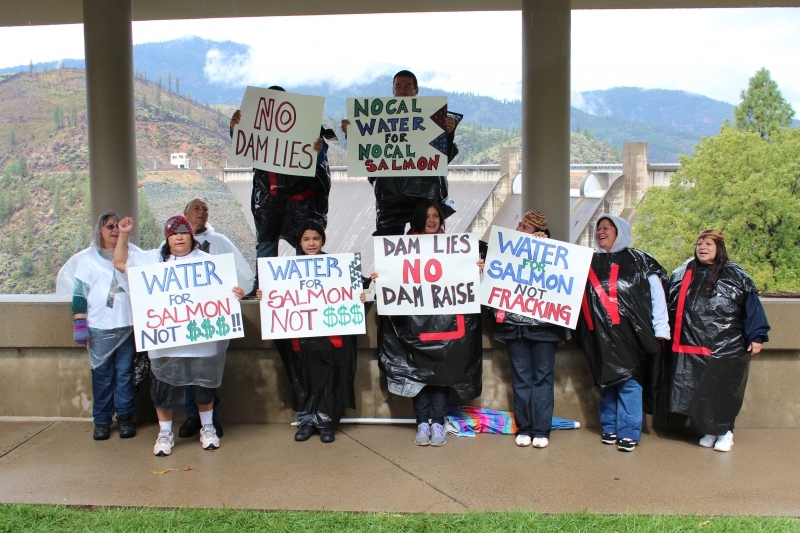 Chief Caleen Sisk slams the Bureau plan to raise Shasta Dam – and exposes the false claim that it will “save” the salmon. Photo by Dan Bacher. 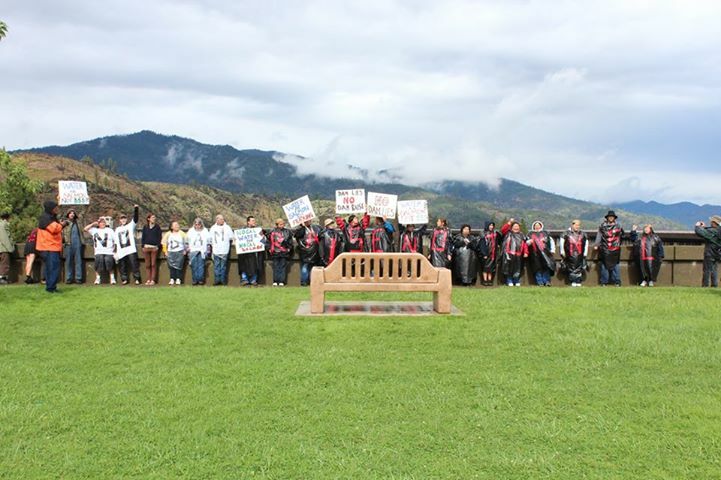 The Winnemem Wintu Tribe protests plans to raise Shasta Dam and to build the twin tunnels during a break in the rain. Photo by Dan Bacher.